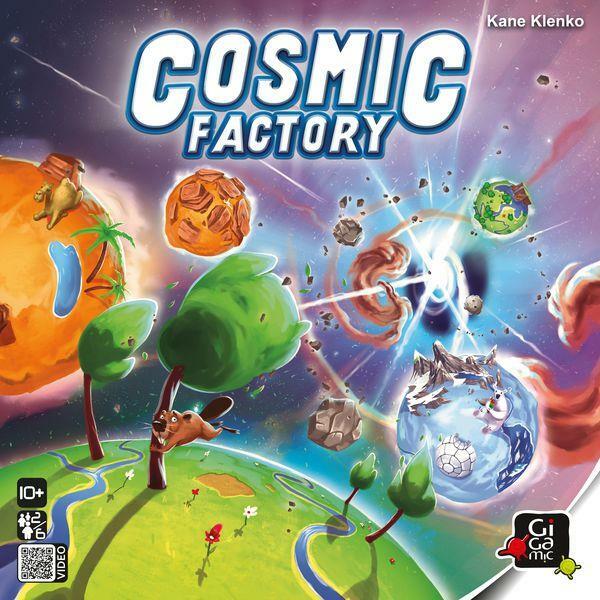 Kaosmos, which will be renamed Cosmic Factory in late 2018, is a speedy game of tile placement. 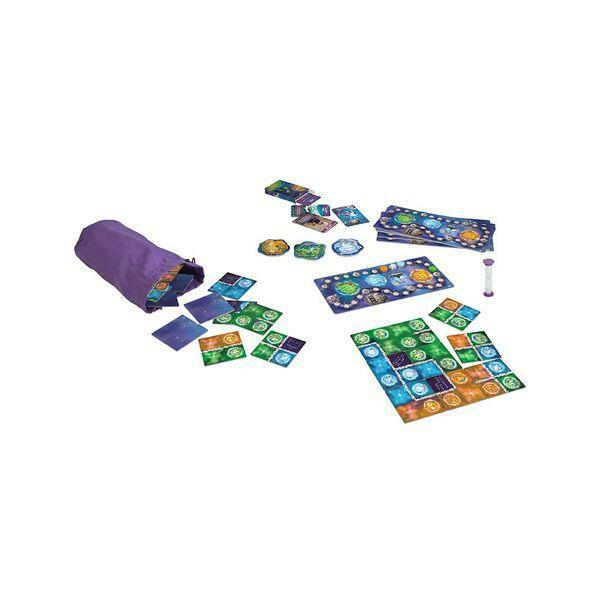 Through five game rounds, each player tries to build and optimize their personal nine-tile galaxy in a limited time. You must rearrange your planets into different zones while trying to keep your asteroid path as long as possible. Kaos cards challenge each player to adapt to a new rule each round. At the end of the game, your weakest zone score is added to your asteroid path score to determine the winner.